Across the entire country, diminishing water supplies have meant that consumers in the United States are faced with increased restrictions. Government officials are introducing new measures to reduce water waste and consumers face the risk of substantial fines. 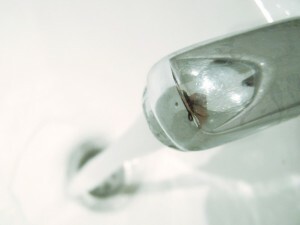 Combined with the increased cost of municipal water, many residents are concerned about reducing their water consumption without major inconvenience. Fortunately, there are six easy ways to help you save water. You may be shocked to learn that you could save gallons of water simply by shutting off your taps when you brushing your teeth. It is estimated that running your tap for the few minutes you brush your teeth each morning and night could mean up to eight gallons of water is wasted each day. This adds up to over 200 gallons a month, which is the equivalent water needed to fill a tank large enough for six small sharks. A shower is a far more efficient way of bathing each day. The average shower uses approximately 10 to 25 gallons of water compared to the 70 gallons needed to fill an average bath. This means that you could save approximately 50 gallons each day. If you do want to take a bath, you can save water by putting in the plug immediately before you begin adjusting the temperature. Even minor leaks could be wasting massive amounts of water each and every day. A simple toilet leak could be wasting up to 200 gallons each day. This is the equivalent of flushing your toilet fifty times over a 24-hour period. Testing for a toilet leak is relatively easy. All you need to do is add a little food coloring to the tank, leave the toilet without flushing for an hour or two and if you see any color in the bowl, you will know the tank is slowly leaking. Evaporation can be a real problem in the hot summer months, so before you water your lawn and garden, you need to consider the temperature. If you water only in the morning or after the sun has set you can conserve a great deal of water. If you need to wash your car, don’t automatically reach for the hose. Using a bucket rather than a hose can allow you to save a great deal of water. The average hose uses 6 gallons of water for every minute it is running, compared to between 1 and 3 gallons used with each bucket. Not all water softeners are the same and some of the older models can waste a great deal of water. Some of these units may use 150 gallons of water every day. A modern unit can be remarkably efficient, wasting little to no water, allowing you to potentially save hundreds of gallons of water each week. Although conserving water can appear challenging, there are a number of ways residents can save water and money without significantly impacting on their lifestyle. Greg Scott is President of Valparaiso based Miracle/EcoWater Systems, the premier water conditioning company in Northwest Indiana serving the Lake, Porter and LaPorte County areas. A 3rd generation water treatment professional, Greg grew up in the family owned business started by his grandfather in the late fifties. He has made water treatment his life and under his direction and high-standards, the company’s water treatment experience, knowledge, and products are unrivaled in region.